This past weekend, there was a lot of candy floating around at a holiday gathering. It looked so good. 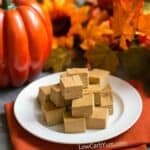 I wish I had made some of my own low carb candy to enjoy. It was also my birthday weekend so I felt that I deserved to have a yummy treat. I’m not that into cake, but I do love chocolate. I recently received some complimentary bags of ChocZero dark chocolate to experiment with in low carb recipes. 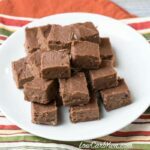 The milk chocolate squares are already a favorite of mine. 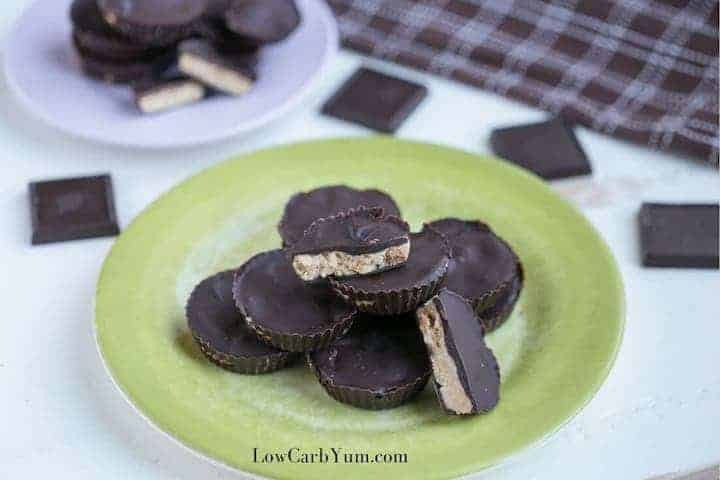 To see how the dark chocolate squares melted down, I made up a batch of easy keto peanut butter cups. And, the ChocZero chocolate melted beautifully as expected. To make the candy, I used the filling from an old blog recipe for peanut butter cup bars. Rather than press the filling out into a single baking pan, I used silicone cupcake molds. Then, I top each one off with a layer of melted chocolate. (photo 12) To speed things up, I place them in the refrigerator to harden quickly before removing each from the silicone molds. Will they satisfy a craving for a Reese’s? 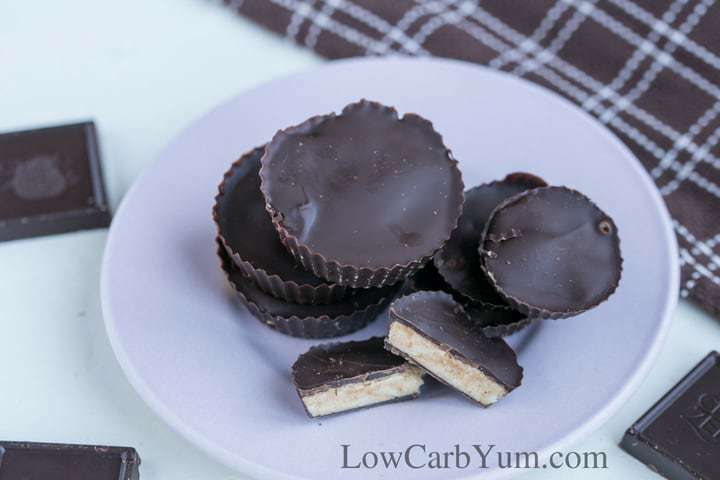 If you have a craving for Reese’s, this low carb candy is sure to satisfy. 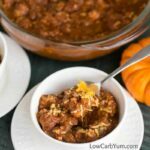 The filling is very similar to what you get in the popular Hershey’s treats. I actually liked these easy peanut butter cups too much. I had to give them away before I ended up eating the whole batch! 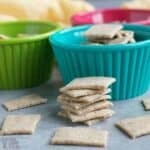 If you end up making this yummy treat, you’ll need some good will power. You could put them away somewhere out of sight or share them with your family and friends. Just don’t eat too many at once. The great thing about making your own low carb candy is that you control what’s in it. Most of the sugar free candy sold in stores is made with sugar alcohols that can have a laxative effect. 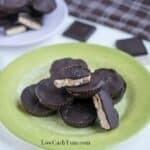 Is it difficult to make sugar free peanut butter cups? 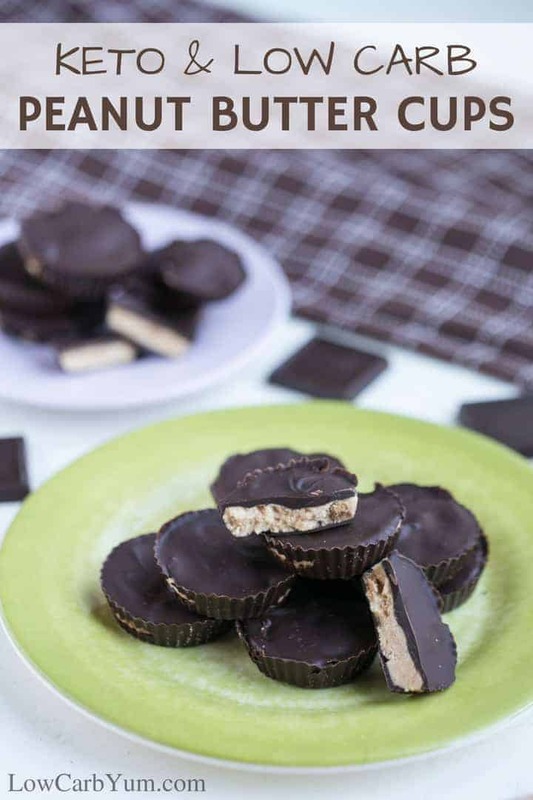 I’ve always wanted to turn my original bar recipe into easy keto peanut butter cups. Originally, I thought that it would be difficult and time consuming. It does take more time to make the candy in individual molds. But, the process is super easy. And, I like that you get more chocolate in every bite. I just divided the peanut butter filling into regular and mini sized silicone cupcake liners. If making all regular sized ones, the recipe makes about 20 candies. After pressing into the molds, I froze the filling for about an hour. That way, they would be sure to hold together when placing into the melted chocolate. 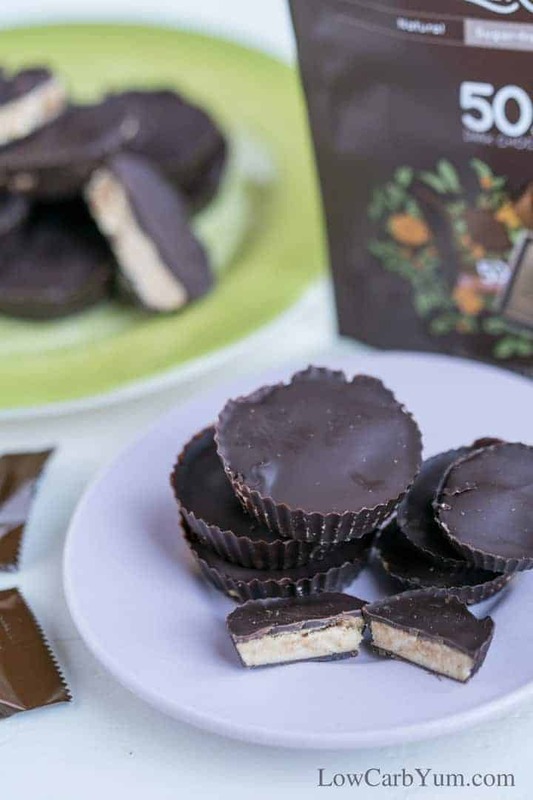 To assemble each of the sugar free peanut butter cups, you just brush chocolate onto the bottom of each mold. Then, the frozen peanut butter filling is placed into the mold and topped off with a layer of chocolate. I wanted to make sure the chocolate covered the sides of the filling. So, I squeezed each mold to let the chocolate drip down from the top. The silicone cupcake molds are also great for making fat bombs. 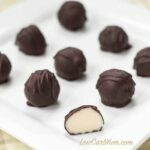 I used them to make white chocolate fat bombs and chocolate peanut butter fat bombs made with chocolate and peanut butter. 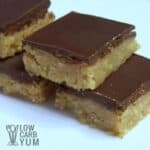 Delicious keto friendly chocolate peanut butter candy with only 2 grams net carbs each. 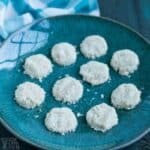 With carbs so low, there's no reason you can't enjoy this low carb keto candy. 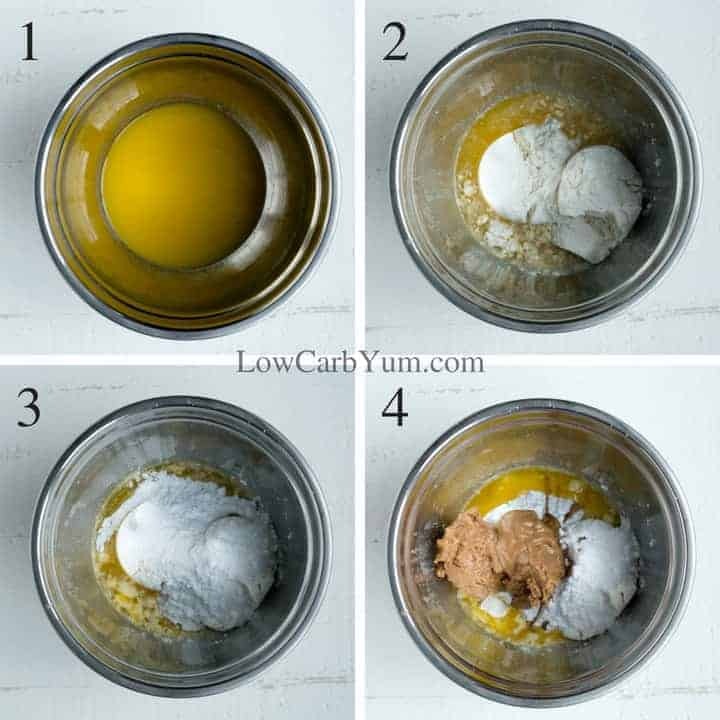 In medium bowl, mix the butter, whey protein powder, erythritol, stevia and peanut butter together. 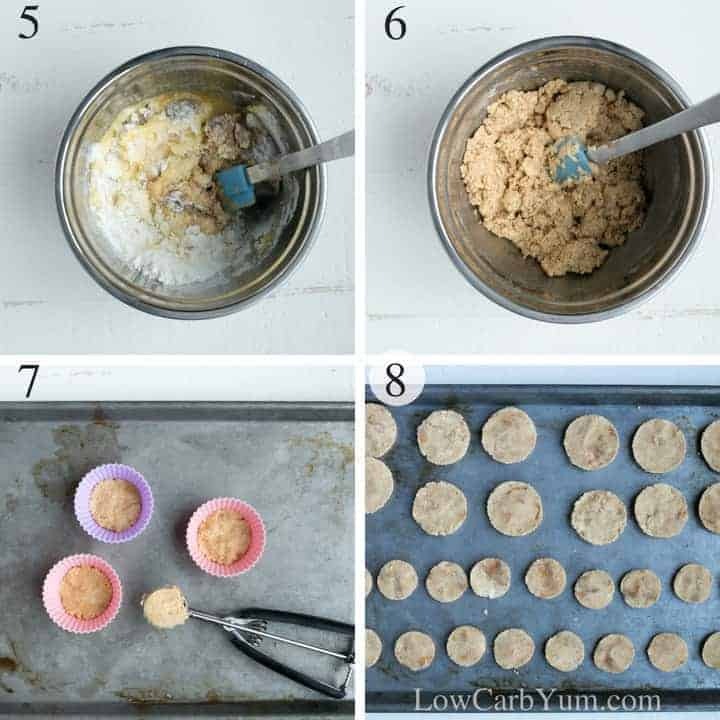 Using cookie scoop, drop about a tablespoon of peanut butter mixture into silicone cupcake molds. Press mixture down into bottom of each mold. Freeze for at least an hour. 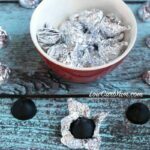 In a chocolate melter, melt the dark chocolate and keep melted on warm setting. Note: this could also be done in microwave or double boiler, but the melter is best to get the right temperature. 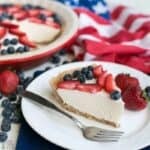 Remove frozen peanut butter filling from each silicone mold and set aside. 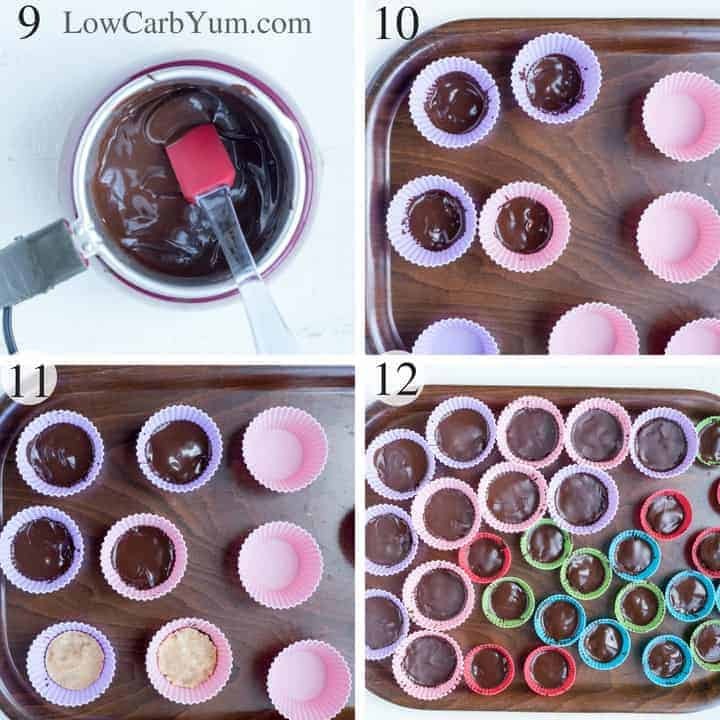 Brush melted chocolate to cover bottom and a little bit along the sides of each silicone cupcake mold. While chocolate is still melted, press the frozen peanut butter filling on top of the chocolate in each mold. Top off with a layer of melted chocolate. Chill cups in the refrigerator to set the chocolate. Once set, the candy can be removed from the molds. The cups are fine to have out at room temperature or can be kept in the refrigerator for longer storage. 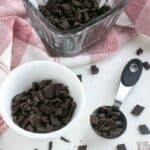 A brush or small spoon is useful for spreading out the chocolate. To ensure the sides of the peanut butter cup have chocolate, it helps to squeeze the silicone mold after topping with melted chocolate. This helps the chocolate drip between the peanut butter disk and the silicone mold.